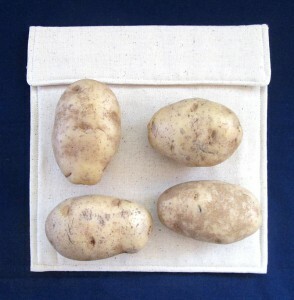 The best you’ll find — and less expensive than the competitor’s express from China potato sleeves! Much more than a simple potato sack, it’s a three layer structured pouch that retains just the right amount of moisture. 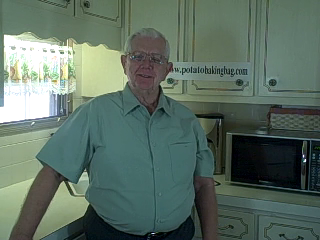 All you have to do is wash the potatoes, slide them into the bag, set the timer, and in just a few minutes the perfect baked potato awaits you! You can even lightly moisten the bag for faster cooking if you desire. 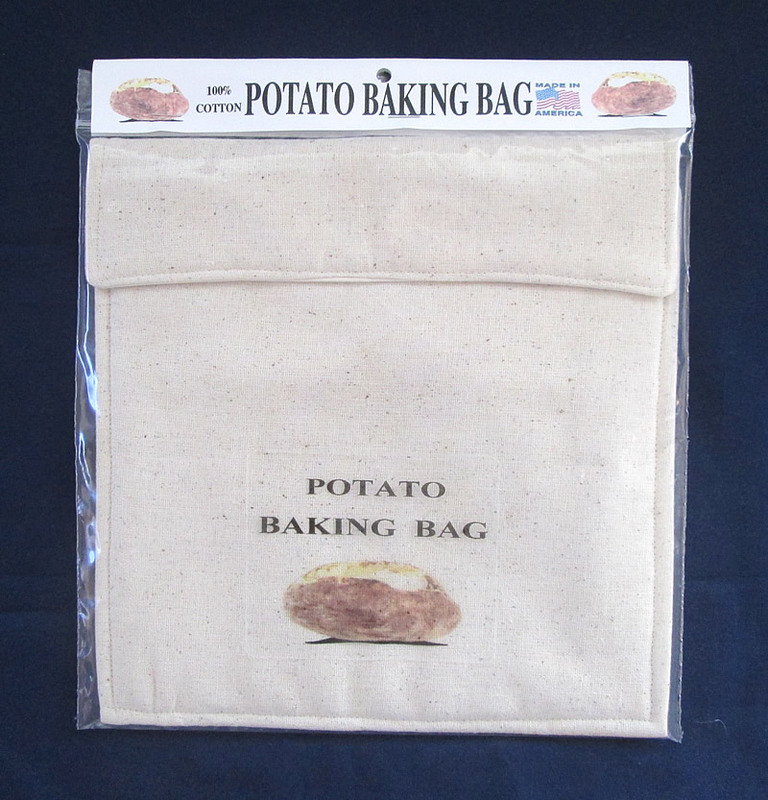 Our Potato Baking Bags are available in two sizes: The Original and The Mini size! Our bag is hand made in a smoke free environment here in the USA, using only materials, also made in the USA. 100% American Made! To pay with credit or debit card Direct, By Phone, call us with your order at 386-774-4415 between 9am & 10pm Eastern Time. 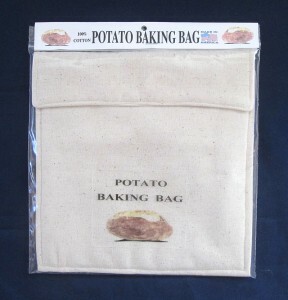 Note: The Potato Baking Bag is our own, original product, and is unaffiliated with Potato Express which is made in China and is advertised on TV.